The holiday season is here and it is a tough job to choose the best gifts for all the kids in your life. You need to find a gift which they love and that makes your search challenging. So putting an end to your confusion, here is a great gifting option for kids this holiday season - Pebble! 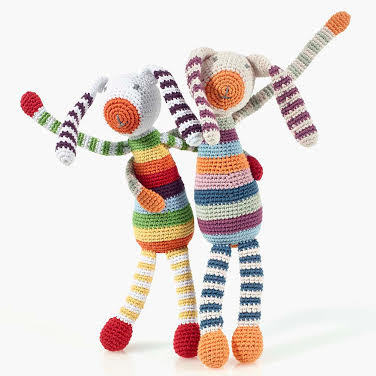 Pebble toys are not only adorable and cuddly, but they are made from 100% organic cotton! Made in Bangladesh, Pebble is not only invested in their employees lives, but also in their communities. Their production centers provide 100 jobs per community, nursery care and pre-school to give moms flexibility to adjust their work to the rhythms of rural life. Each Pebble toy is hand crocheted and made with love and care. This precious bunny face is sure to capture the heart of your child and you will feel good knowing that you contributed to making a better life for the women in rural Bangladesh. With little hands comes big curiosity. Here are some options you might consider for gifting this holiday season! 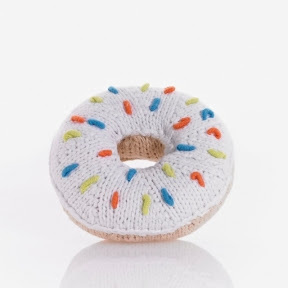 Donut Rattle is something which makes babies happy. The pattern is beautiful and the texture is soft so that those little hands can grab and shake it. 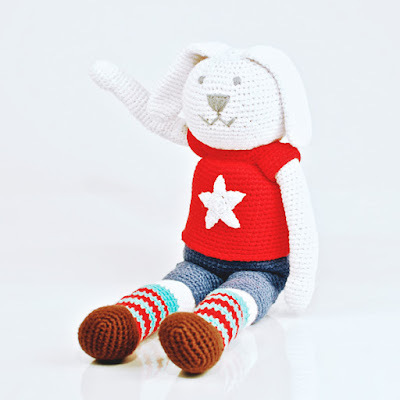 Boy Bunny Friend is a wonderful gift for newborns and toddlers alike. They are quite big from head to feet and lovely for cuddling. Dressed in shorts and t-shirt with a white star, the clothes are not removable. 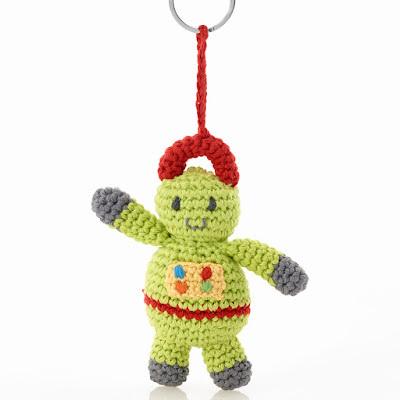 Green Robot Keyring Wire makes a great gift for kids this holiday season. The green robot will surely create interest in them. Not just these, but Pebble offers wide range of toys each suitable for newborns and toddlers both. If you are the mom of an active baby under the age of one just like me, then you know that all the toys and things go right into the mouth. So the good news is these toys are easy to clean - simply throw them in the washer, and they will be as good as new. Pebble products can be found at over 800 specialty retailers throughout the US as well as on the www.kahiniwalla.com website. 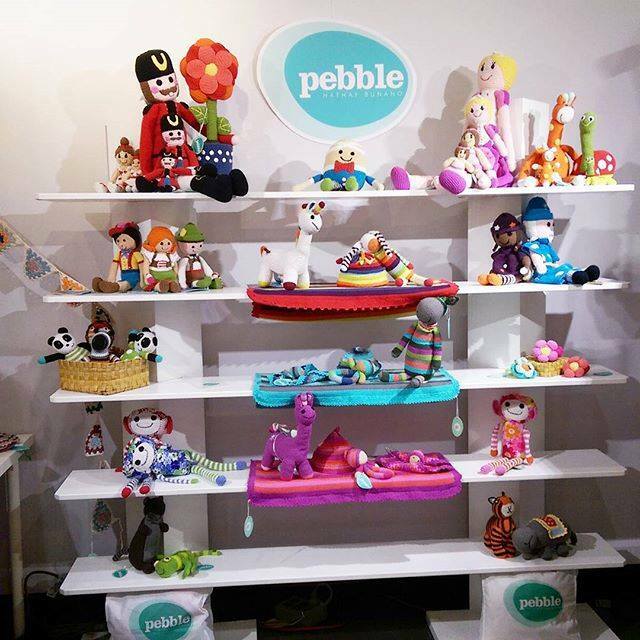 So if it is your baby, grandbaby, niece or nephew, consider gifting Pebble toys and see those happy faces!